Welcome to Turnblack.in (“Website”). TURN BLACK and/or its affiliates provide website features and other products and services to you when you visit or shop at Turnblack.in , use TURN BLACK products or services, or use software provided by TURN BLACK in connection with any of the foregoing. TURN BLACK provides the Services subject to the following conditions. This user agreement (“Terms and Conditions” or “T&C” or “Terms” or “Agreement”) is between you (“you” or “End User” or “your” or “Buyer” or “Customer” or “Registered User”) and TURN BLACK (“Company” or “us” or “We” or “Turnblack.in”). This document is an electronic record in terms of Information Technology Act, 2000 and rules there under as applicable and the amended provisions pertaining to electronic records in various statutes as amended by the Information Technology Act, 2000. This electronic record is generated by a computer system and does not require any physical or digital signatures. Notwithstanding anything contained or said in any other document, if there is a conflict between the terms mentioned herein below and any other document, the terms contained in the present T&C shall alone prevail for the purposes of usage of the Site. The domain name Turnblack.in is registered in the name of Flocker Arts Pvt. Ltd. which is a registered company under the Companies Act 1956. Its registered office is at 125B Shahpurjat, New Delhi – 110049. 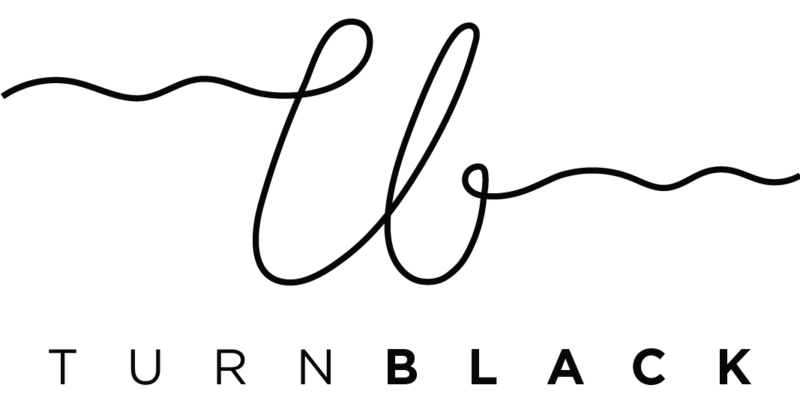 TURN BLACK is in the business of selling luxury lifestyle retail products such as apparel and other related goods online on their website Turnblack.in . TURN BLACK reserves the sole right to update or modify these Terms and Conditions at any time without prior notice. For this reason, we encourage you to review these Terms and Conditions every time you purchase products from us or use our Web Site. Unless otherwise indicated or anything contained to the contrary or any proprietary material owned by a third party and so expressly mentioned, TURN BLACK owns all Intellectual Property Rights to and into the Website, including, without limitation, any and all rights, title and interest in and to copyright, related rights, patents, utility models, trademarks, trade names, service marks, designs, know-how, trade secrets and inventions (whether patentable or not ), goodwill, source code, meta tags, databases, text, content, graphics, icons, and hyperlinks. You acknowledge and agree that you shall not use, reproduce or distribute any content from the Website belonging to TURN BLACK without obtaining authorization from it. TURN BLACK , the right to edit, copy, publish and distribute any material made available on the Site by the User. The foregoing provisions of Section 25 apply equally to and are for the benefit of TURN BLACK , its subsidiaries, affiliates and its third party content providers and licensors and each shall have the right to assert and enforce such provisions directly or on its own behalf. The Site contain copyrighted material, trademarks and other proprietary information, including, but not limited to, text, software, photos, video, graphics, music , sound, and the entire contents of TURN BLACK protected by copyright as a collective work under the applicable copyright laws. TURN BLACK owns a copyright in the selection, coordination, arrangement and enhancement of such content, as well as in the content original to it. Users may not modify, publish, transmit, participate in the transfer or sale, create derivative works, or in any way exploit, any of the content, in whole or in part. Users may download / print / save copyrighted material for the User’s personal use only. Except as otherwise expressly stated under copyright law, no copying, redistribution, retransmission, publication or commercial exploitation of downloaded material without the express permission of TURN BLACK and the copyright owner is permitted. TURN BLACK , unless such site is under license from the trademark owner thereof in which case such license is for the exclusive benefit and use of TURN BLACK , unless otherwise stated. TURN BLACK respects the intellectual property of others. If you believe that your work has been copied in a way that constitutes any Intellectual Property Right infringement, please address a complaint to the ‘[email protected]’ by way of an email as provided herein below. If you use the Website as Registered User, you agree that you are competent to contract within the meaning of the Indian Contract Act, 1872. TURN BLACK reserves the right to terminate your membership and refuse to provide you with access to the Website if we counter any ficticious activity on your account.You are solely responsible for maintaining the confidentiality of your User ID and Password. You are responsible for all activities that occur under your User ID and Password. You agree, inter-alia, to provide true, accurate, current and complete information about yourself as prompted by Website registration form or provided by You as a Visitor or user of a third party site through which You access the Website. If you provide any information that is untrue, inaccurate, not current or incomplete or we have reasonable grounds to suspect that such information is untrue, inaccurate, not current or incomplete, or not in accordance with the User Agreement, TURN BLACK has the right to indefinitely suspend or terminate or block access of your membership with the Website and refuse to provide you with access to the Website. That in case it is found that you are in violation of these express conditions, you shall be solely responsible and shall face all legal consequences of the same by yourself and that TURN BLACK shall in no manner be held responsible for the same. The price of our merchandise as mentioned on Turnblack.in is the Maximum Retail Price (MRP) for the said product. Such MRP shall be inclusive of all local taxes as are applicable in India. Additional applicable taxes may be charged depending upon the destination where the order has to be shipped to. The tax rate applied and charged upon the order shall include combined tax rate for both state and local tax rates in accordance with the address where the order is being shipped. TURN BLACK reserves the right to collect taxes and/or such other levy/ duty/ surcharge that it may have to incur in addition to the normal taxes it may have to pay. We may also charge delivery Charges which may include postal charges / shipment charges etc. That may be applicable for your country. Due to unavoidable circumstances there may be times when certain orders having been validly placed may not be processed or capable of being dispatched. TURN BLACK reserves the exclusive right to refuse or cancel any order for any reason. Some situations that may result in your order being cancelled shall include limitations on quantities available for purchase, inaccuracies or errors in product or pricing information, problems identified by our credit and fraud avoidance department or any defect regarding the quality of the product. We may also require additional verifications or information before accepting any order. We will contact you if all or any portion of your order is cancelled or if additional information is required to accept your order. If your order is cancelled after your credit card/ debit card/ any other mode of payment has been charged, the said amount will be reversed into your Account/ as the case may be to the source of the payment within a period of 30 working days. Any type of voucher used in these orders shall be returned and made available to the user in case of cancellation by TURN BLACK. Our shipping and processing charges are intended to compensate TURN BLACK for the cost of processing your order, handling and packing the products you purchase and delivering them to you. For further information please refer to our Shipping & Payment Policy. All payments made against the purchases /services on turnblack.in by you shall be as against the MRP displayed on the website and shall be in terms and conditions of the third party Online Payment Gateway Services as adopted and applicable to your transaction as approved by TURN BLACK. Before shipping your order to you, we may request you to provide supporting documents (including but not limited to Govt. Issued ID and address proof) to establish the ownership of the payment instrument used by you for your purchase. This is done so as to ensure a safe and a full proof online shopping environment to our users. TURN BLACK may employ Instamojo, PayPal, Paytm and such other third party facilities, for Payments on the Website. Such payments can be made through the electronic or through Cash on delivery transactions, as may be permitted by TURN BLACK which shall be at its sole discretion. Use of such third party services will be governed by their User Agreement, Seller Terms, Conditions and other rules and policies as may be required and applicable for your nature of activities.